Need to build a Tinder-like location-based social search app? Well, if you are seriously focused on monetizing the dating culture, then this $1.35 billion dating app (as valued by Bank of America Merrill Lynch) could serve as a beacon for you and your social media app development company. This is a part of its customer acquisition strategy. Not just the social authentication helps with quick onboarding of new users but also helps to validate the profile of the users and make its platform more trustworthy. 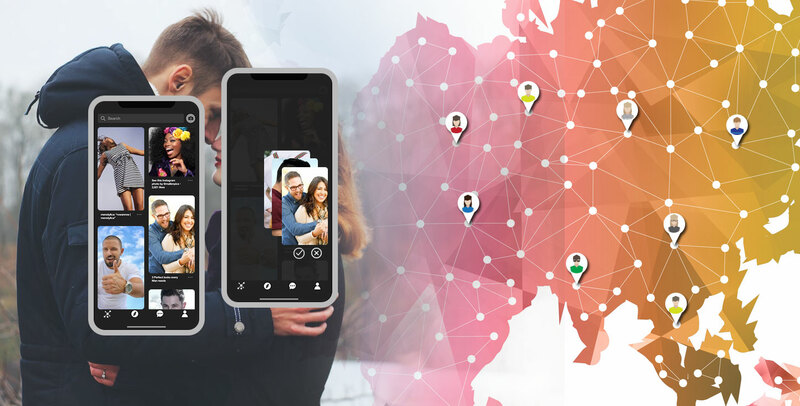 Here comes imbibing the social media app with intelligence so that it can compare a profile with the hundreds and millions of profiles that are already in the database and suggest a relevant match to the user. This enables users to search for dating partners. They can perform a search based on criteria like interests, age, gender, etc. Here comes into action the most exciting feature - Swipe - that allows users to like (swipe right) or dislike (swipe left) a profile. Users can configure their profile settings to make it more attractive and trustworthy. Users an explore profiles based on preferences, see the images and browse through mutual friends. Swipe on the screen for liking or disliking anybody’s profile. The feature enables users to chat. The conversation is encrypted from end-to-end. Thus, it helps the user maintain their maintain their privacy. This helps a user to find a friend or partner based on his/her proximity to the device. The GPS feature draws its power from magnetometers and gyroscope sensors incorporated in the device. Free or paid - how will you offer your app. 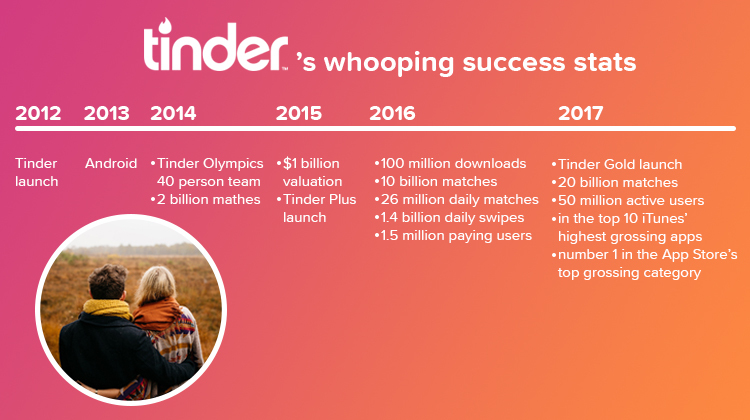 Tinder first went free and upon touching the success height, launched its paid versions. If you want to offer it from free, you might want to recover the social media app development cost and its maintenance through some intelligent monetization strategy. 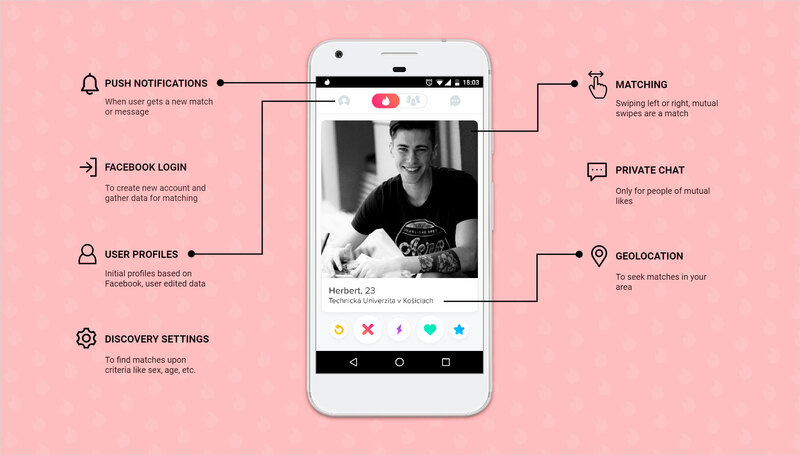 Wondering how much does it cost to build a Tinder-like app? Let’s do some maths to find the answer. The hourly rate varies from $15 to $ 150 based on the economy a company belongs to and its market value. Even in emerging economies in Asia, you can find a wide disparity between the minimum and maximum social media app development cost. However, while choosing your technology partner, you must emphasize their technology prowess and record of product development and delivery. So, your app development cost (basic features considered) will range between $ 9300 and $ 123, 750.